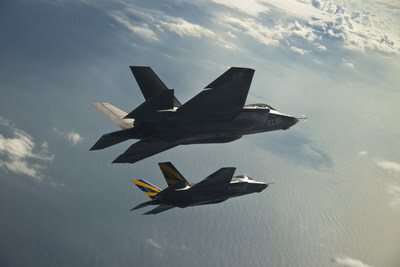 FAIRFAX, Va., Jan. 24, 2019 /PRNewswire/ -- General Dynamics Information Technology (GDIT) announced today it was recently awarded the Joint Strike Fighter (JSF) F-35 IT program support contract. The Naval Air Warfare Center Aircraft Division (NAWCAD) awarded a task order against a previously issued General Services Administration, Government Wide Acquisition Alliant Contract (GS00Q09BGD0030) to General Dynamics One Source, a joint venture between GDIT and General Dynamics Mission Systems. The contract holds an estimated ceiling value of $155.6 million and includes a base period of two years with three one-year options. GDIT will provide knowledge-based, information assurance and cybersecurity IT services to the F-35 JSF Virtual Enterprise (JVE) network in support of the F-35 Lightning II Joint Program Office (JPO).